Welcome to the Fishers Indiana neighborhood of Windermere! 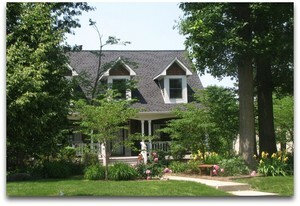 This Fishers golf course community features custom homes on large, mature lots. Many homes back up to the beautiful Ironwood Golf Course. Windermere is just minutes from Geist Reservoir, shopping and restaurants. Windermere neighborhood amenities include a swimming pool, tennis courts, and lots of green space. Below you'll find the newest Windermere homes for sale. This information is updated daily. To see more Windermere homes, or any other real estate for sale in Fishers and the surrounding areas, fill out the property search form above. When you sign up for this free information, you'll begin receiving e-mail alerts as soon as new homes that meet your criteria come on the market. You'll also be alerted to price changes for any homes you've already seen. Learn more about living in Fishers Indiana a CNN Money Best Places to Live and one of the Friendliest Towns in America!